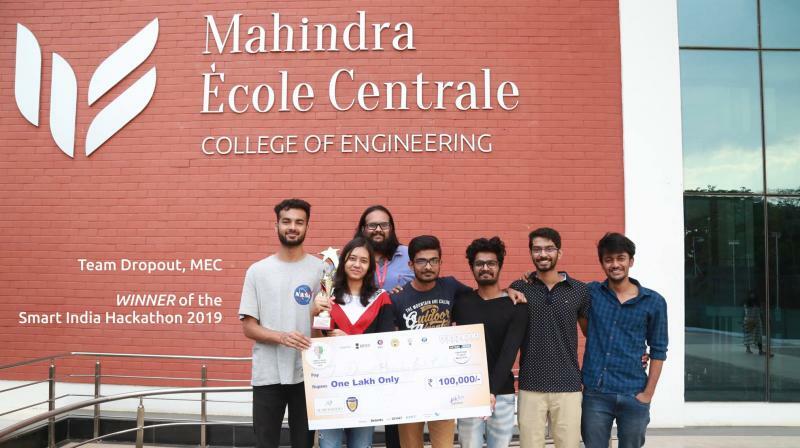 MEC Team created a solution for a complex problem given by Aurobindo Pharmaceuticals and won a cash prize of Rs 1 lakh. The 2019 edition of the SIH saw the coming together of 1 lakh+ students from 3000+ technical Institutes and 200+ organizations from across India. “At MEC, our focus is on creating a well rounded engineering professional who will look at the existing challenges and then create workable solutions for them. Our team did just this and won the top honors for it. We are glad that our research focus is already beginning to yield rich dividends and our students continue to excel in whatever they participate in. Winning SIH 2019 makes us especiallyproud since this is by far the largest such event in India and puts us firmly in the centre-stage”, says Dr Yajulu Medury, Director, Mahindra Ecole Centrale.